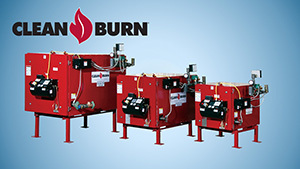 Clean Burn is the world’s leading manufacturer of waste oil heaters that generate FREE HEAT from used oils such as motor oil and petroleum based fluids. For businesses such as automotive repair that produce used oil, Clean Burn provides the best solution to ever increasing energy costs. 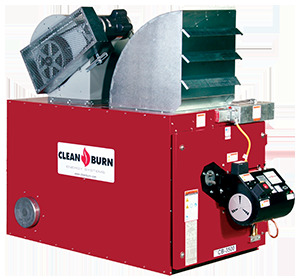 Clean Burn recycling centers will burn your used oil in UL-listed furnaces – eliminating your heating bills, giving you cradle-to-grave disposal liability and transport costs – all while recycling your used oil in accordance with strict EPA guidelines. 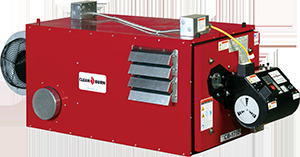 The Model CB-140 is the smallest and most economical Clean Burn used-oil furnace in terms of initial cost. It produces approximately 140,000 BTU/hr. and is ideal for small garages, shops, and workspaces. 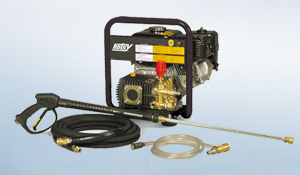 Suitable for facilities generating smaller quantities of waste oil annually. Max BTU/Hour: 175,000 (51.25 kW). Fuels: Used Crankcase, ATF, Hydraulic; #2, #4 and #5 Fuel Oils. 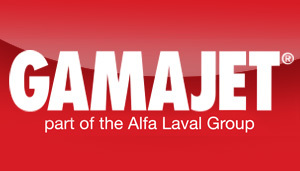 Service facilities with four or more bays and where larger quantities of waste oil are generated or collected. Max BTU/Hour:325,000 (95.3 kW). Fuels: Used Crankcase, ATF, Hydraulic; #2, #4 and #5 Fuel Oils. Service facilities with four or more bays and where larger quantities of waste oil are generated or collected. Max BTU/Hour: 350,000 (102 kW). 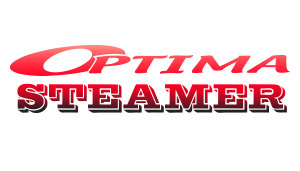 Fuels: Used Crankcase, ATF, Hydraulic; #2, #4 and #5 Fuel Oils. Clean Burn is by far the best choice in waste oil products with their innovative technology and quality manufacturing. 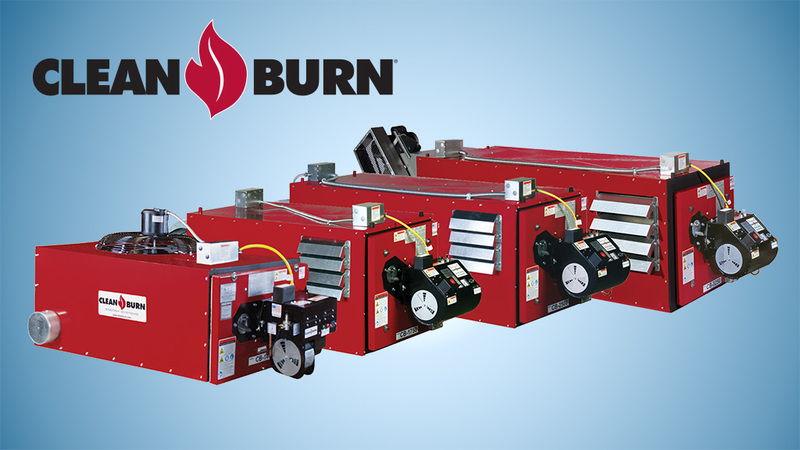 We are proud to offer Clean Burn, known for flexibility, solid construction, high efficiency, rugged durability, easy maintenance and the best investment return. 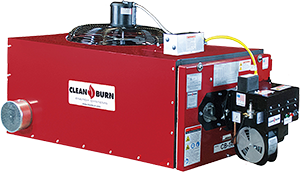 If you would like to learn more about our Clean Burn product line, please feel free to contact us at 503.283.4011 or toll free at 800.233.2425 or click the contact us button below to fill out our contact form and someone will get back to you shortly.